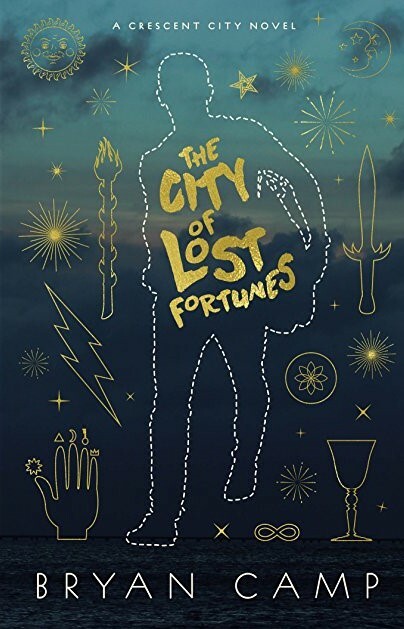 The City of Lost Fortunes by Bryan Camp is an urban fantasy, but in the way of the best Fantasy and Science Fiction, it’s so much more. 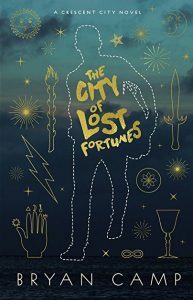 It makes you think about questions of morality, doing the wrong thing for the right reason, all the shades of gray adults maneuver in the real world, but on steroids in an urban fantasy. Each chapter also begins with a section about mythology, superstition, and religion–which I found fascinating. I didn’t always agree, but it showed me the flavor of New Orleans, where this fantasy takes place. The writer, began writing this on his way out of the city during the flooding of hurricane Katrina. It’s set in New Orleans, 6 years after Hurricane Katrina hit, and Jude Dubuisson lives on the street, sometimes using his “gifts” to help customers find the lost, from a mother’s earings, to a child taken all the way to Ohio. Not always simple, his gift, he can find the lost item and tell you so much more. But since the hurricane, neither New Orleans, or Jude, has been the same. It’s been raw, painful, to open to his gifts, and he has drawn away from it and himself. But now, his old partner has an invitation that begins it all again. He owes a fortune god a favor, and goes to the meeting place, to be dealt a hand of poker with tarot cards. His seat is among the four gathered supernaturals, a vampire, Scarpelli; an angel, Wings; the Egyptian god of Scribes, Thoth; and voodoo god of the crossroads riding a middle-aged priestess, Papa Legba; and the luck god of New Orleans, Dodge, who resembles the laughing Buddha, or Budhai statues. Jude may owe everything to everyone, and draws a hand of 5 blank cards. He leaves the game, believing it’s a dead man’s hand, but it’s Dodge who is killed. The characters are well drawn, and even side characters are more than cutouts, but its hard to be certain who will be more important to the story. And the story is a wonderfully worded wild ride. There’s enough here for the literature reader, the travel reader, and the folklorist. We see so many facets of New Orleans actual culture, along with the supernatural aspects in this story, one can nearly smell the different city streets.